Cathleen Castin Guidry earned her angel wings on Sunday, December 2, 2018 after losing her battle with cancer. She was born on November 16, 1950 in New Orleans, LA to the late George A. Castin and Audrey Lemoine Castin, and was a resident of Kenner, LA for over 50 years. She was the bookkeeper for St. Mary Magdalen Church and School for the past 30 years. Cathleen is survived by her husband of 49 years, William "Billy" Guidry, and her daughters, Dyleen Guidry Loup (Darrin) and Nicole Guidry Rodrigue (Michael). 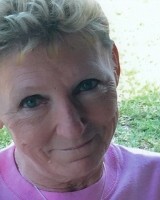 Beloved grandmother to Darien, Danielle, and Dane Loup and Rebecca and Christopher Rodrigue. Also survived by her sister, Diann Castin Pumphrey (Rick), as well as a host of aunts, uncles, nieces, nephews, cousins, and friends. The family would like to send special thanks to Passages Hospice of New Orleans for their compassionate care. Services will be private. Donations in Cathleen's name may be made to the American Cancer Society at www.cancer.org.